Who is looking after a Smartwatch with round housing design, with which you can call on top, which should consider the Kingswear KW18, conveniently offered at Gearbest. The KW18 at Gearbest is sold choice Weis in black or champagne color. 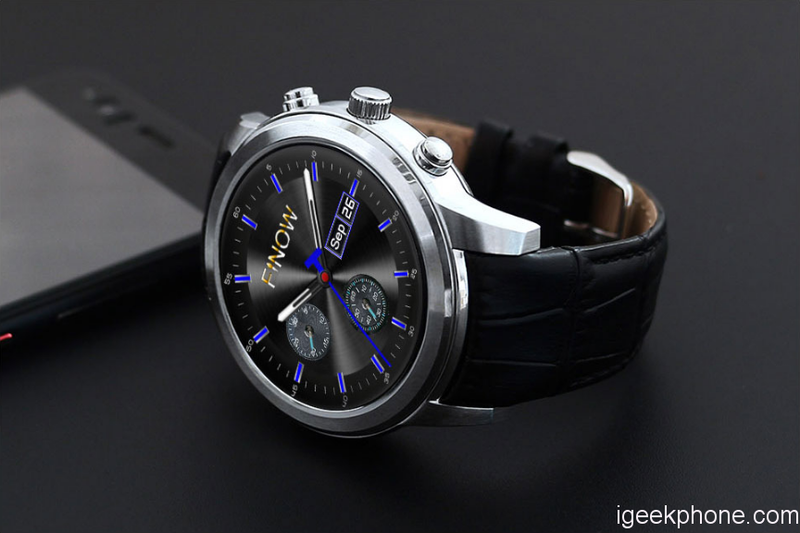 It is a GSM compatible Smartwatch which sparks MHz 850, 900, 1800, and 1900 networks. To do this, you must insert a micro SIM card in the Smartwatch and can then receive calls on your wrist and also run. To do this, you select contacts from the address book that you would like to call. The circular casing design of the Kingswear KW18 offers a 1.3-inch IPS display space, which can be used as a touch screen. It offers a resolution of 240 x 240 pixels. It is protected by a Sapphire Crystal. As in many smartwatches for children is the integrated step counter and can the clock remind one to stand up. On the back, an optical pulse monitor is embedded, through which you can earn fitness data. The KW18 is powered by a MTK2502 processor. The watch offers 64 MB RAM and 128 MB ROM. In addition to expand the memory up to 16 GB via micro SD card. The Smartwatch radio via Bluetooth 4.0. Moreover, the Smartphone is coupled. Thanks to the processor, the clock with iPhones and Android is compatible devices. The KW18 does not belong to the lightweights, she weighs but 68 grams, despite Kunstoffarmbands. How long does the 340 mAh large battery out, does not reveal the provider. At Gearbest , there are currently under 60 euros to buy them.